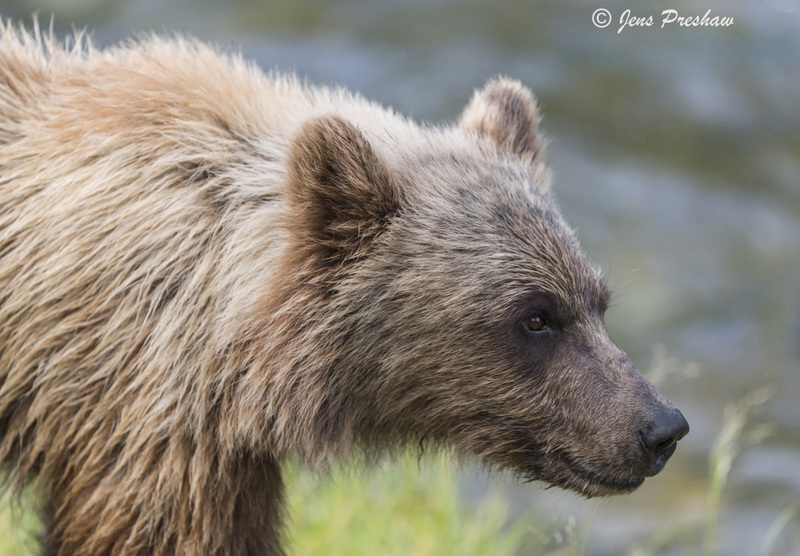 This grizzly bear cub always followed closely behind its mother. It was watching and learning as its mother was fishing in the river. All material © copyright by Jens Preshaw. All rights reserved. Site by WideRange Galleries.